Men can be just as concerned about their looks as women and cosmetic surgery for men is a booming business. With men feeling the pressure from society to look their best there has been an increase in treatments such as Botox, male breast reduction and nose reshaping. Social pressure has been cited as one of the main reasons for the increasing popularity in men’s cosmetic surgery. Men are just as susceptible as women when it comes to the desire to look younger but men do tend to be more secretive about their treatments. Many men do suffer from insecurities about their appearance and are now using cosmetic surgery instead of suffering in silence. Men, especially those over 40, are undergoing multiple treatments such as liposuction and Botox to slim down and bring a fresher, younger look to their appearance. The low cost of surgery abroad means that liposuction, eyelid surgery and hair transplants are among the most popular cosmetics surgery treatments for men. As yet, there is no cure for hair loss, one of the most common problems that affect men. Hair transplants can be a costly and time consuming process but are, at present, one of the solutions to hair loss. The process involves transplanting healthy hair follicles, usually from the back of the scalp, into incisions where hair is missing. The dead hair follicles will be cut from the scalp and it can take between one and two years before the healthy follicles produce a full head of hair. Hair transplants are a high price option and can cost from between £7,000 to £10,000. Botox treatments are the most popular cosmetic treatment for men and will provide a fresher, younger looking facial appearance. Botox treatments are non-surgical meaning no cutting of the skin is required. Instead, areas on the face where aging in the form of wrinkles is apparent will be injected with a refined form of toxin. The Botulinum toxin will be injected directly into the facial muscles that causes lines and wrinkles to appear. Botox treatments can be completed in around 10 minutes and costs between £180 and £375. Microdermabrasion is another non-surgical cosmetic treatment similar to exfoliation that uses fine crystals to peel and polish the skin. Microdermabrasion stimulates the production of collagen and new skin cells. The treatment can be painful, takes between 30 and 40 minutes and takes place over a course of weekly sessions. This treatment is not as harsh as a chemical peel and can make a difference to acne scars, sun damaged skin and brown spots on the skin. Costs for Microdermabrasion usually come in at around £55 per session. Nose reshaping comes in at number five in the most popular cosmetic surgery treatments for men. Rhinoplasty is a surgical procedure that alters the shape of the nose and can also be used to correct nasal breathing problems. Rhinoplasty or a ‘nose job’ can help to balance out the facial features and the surgery itself usually lasts between one and two hours. The costs for rhinoplasty can vary from between £2000 and £6000. It has been stated that men have been choosing the ‘Johnny Depp’ nose when looking for the perfect nose shape. Another popular cosmetic surgery procedure for men who want to eliminate the effects of gravity and aging is Gynaecomastia Surgery. This surgical operation, commonly referred to as a ‘moob job’, involves either liposuction or the surgical removal of the breast tissue. 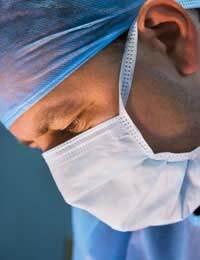 One of the plus points of male breast reduction surgery is that it is very rare for the patient to require a repeat procedure. Other plus points include very little recovery time needed and the risk of side effects is low. Gynaecomastia Surgery will usually cost around £3,000 to £4,000. Eyelid surgery can make a significant difference to drooping eyelids and can help to give a much younger, less tired facial appearance. A bad diet and smoking can cause eyelids to appear puffy, tired and lead to excess fatty tissue. Excess fat and skin are removed during this surgical procedure from the upper or lower eyelids. The blepharoplasty procedure can require an overnight stay and the effects of the treatment are noticeable soon after surgery. The usual cost for eyelid surgery varies between £2500 and £3500 depending on the extent of the surgery. Men who are considering cosmetic surgery should fully research their options including obtaining quotes from different cosmetic surgeries. Obtaining cosmetic surgery abroad can reduce the price by around 50%. Safety should be a concern and checks should be made on the surgeon and the hospital where the intended surgery is to take place.